POWER: Business | Cover Story | Style Weekly - Richmond, VA local news, arts, and events. With 6 million customers, $12.7 billion in revenue, 16,000 employees in 18 states and by distributing $20 million annually in corporate largesse, Dominion Energy czar Farrell may be the only person on this list who literally is a power player. The past year has had its challenges. There's been push back from environmentalists and preservationists opposed to draping power lines across the James River at Jamestown. And the controversial Atlantic Coast Pipeline has met legal stumbling blocks. But on the sunnier side, the downtown block containing the performing arts center with Dominion's name is bedecked in bright blue banners. A few blocks south on Canal Street, construction cranes swing out over the new corporate office complex. When completed, it will be one of the city's tallest buildings. But even more impressive downtown development with Farrell's stamp is yet to come. 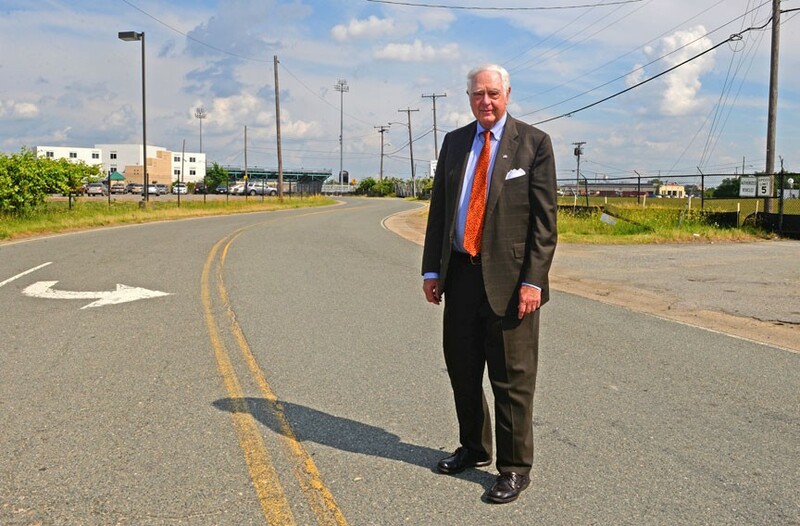 He heads NH District Corp., the group that has the city's nod to transform 10 blocks in the Coliseum area with a 17,500-seat arena, 400-room hotel and hundreds of apartments and Virginia Commonwealth University dorm rooms. Retail and a new GRTC transfer center will be in the mix. But a complex financing scheme proposing that future taxes accrued from Dominion's new office tower be applied to the tax increment financing district, raised many eyebrows: The office tower is hardly contiguous to Court End. Some observers ask if those tax dollars might be better applied to the Richmond Public Schools since just-released test scores rank them at the bottom statewide. Farrell has nothing if not chutzpah and his influence extends far beyond your monthly electric bill. Martin Barrington and Howard Willard, Altria Corp.
Four months ago Barrington retired after a six-year run as chairman of Altria, the tobacco products company he served for a quarter century. Picking up the baton at one of our largest private employers is Willard, himself a 25-year Altria veteran and former chief financial officer and executive vice president of strategy and business development. While it's too soon to know how Willard will settle into the high-profile position at our region's largest publically-traded corporation, signals suggest Barrington will be heavily involved in what happens with future development near Altria's research enclave in the Virginia Bio-Technology Research Park. He is a key player in the NH District Corp., the private investor group redeveloping the Coliseum area. But regardless of how that politically-charged and financially-complicated project unfolds, Altria will no doubt continue its role as a Medici-like force in the local arts scene. Barrington is a trustee of the Virginia Museum of Fine Arts and Altria provides it impressive support, including lead sponsorships of two recent major exhibitions, the "Terracotta Army" and "Napoleon: Power and Splendor." 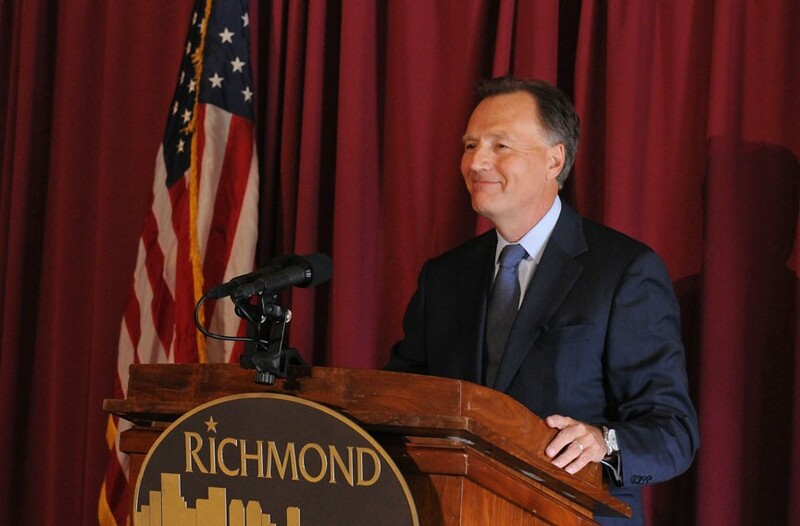 Altria also sponsors the upcoming Richmond Ballet Studio season and the Richmond Symphony Masterworks program. Of course, the architecturally-exotic public auditorium overlooking Monroe Park bears the company name. On another front, the corporation has committed to distribute $35 million over the next three years to nonprofit groups that focus on youth development and workforce preparedness. As long as such products as Marlboro, Skoal, and Copenhagen keep selling, the brand power of Altria, Philip Morris and its top leadership will be felt. The university campus continues to extend its impressive footprint and the economic and social impact of 31,000 students. 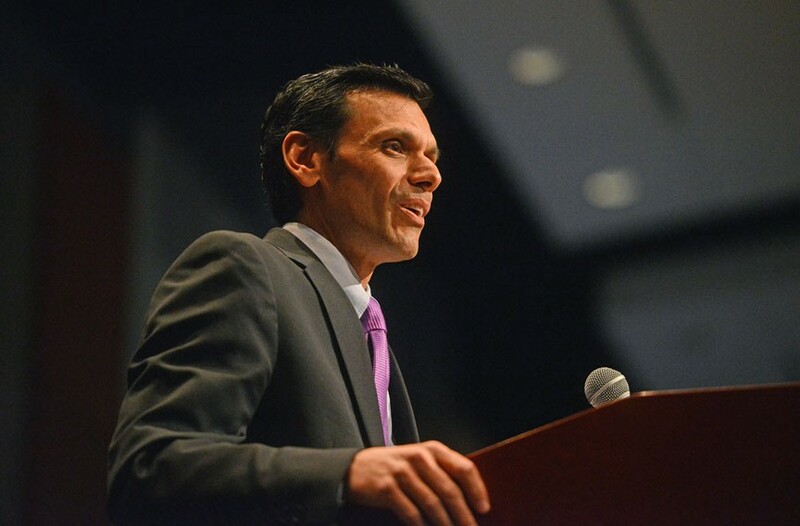 With 22,888 employees, including those of its Health System, President Michael Rao is in his ninth year at the helm of what is the region's largest employer and the sixth largest in the state. Currently a billion dollars in construction includes a new outpatient facility that will absorb the Massey Cancer Center and a 1,000-car parking garage at North 10th and Leigh streets. At 603,000 square feet, it will be the largest building on the medical campus. Nearby, a 200,000-square-foot School of Health and Allied Health Professions building is close to completion. On the Monroe Park campus, a new Engineering Research Center is underway, a 133,000-square-foot facility. A new freshman dorm provides an additional 360,000 square feet that houses 1,500 students. In the far West End, a 200,000-square-foot Rehab Institute is being built at West Creek Medical Park in collaboration with Sheltering Arms. Meanwhile, with the new Children's Pavilion on the medical campus and the Steven Holl-designed Institute for Contemporary Art at Belvidere and Broad, this amounts to more than a million square feet of expansion. A lot is going on and with a salary of $900,000 a year, Rao is among the state's highest paid public employees. The Markel family and Alan I. Kirshner, Markel Corp.
"I'd say I was the highest paid umpire in the United States, because they're cousins," is how Kirshner, executive chairman of Markel, has described his job as one of the three top executives at the Henrico County-based diverse financial holding company that specializes in insurance. He was speaking of first cousins Steven and Anthony Markel, co-vice chairmen of the international company. Last year it reached $6.1 billion in revenue and generated $1.2 billion in earnings. The triumvirate has worked together since 1986, when the company went public and its revenues were $10 million. If the company was small back then, its presence on the Richmond landscape was oversized because of its iconic then-corporate offices near Willow Lawn — the building looks like a stack of gargantuan aluminum pie plates. In April, the company planted its name to another contemporary architectural landmark, the Markel Center, which houses Virginia Commonwealth University's newly hatched Institute for Contemporary Art. Steven, and his wife Kathie, were prime movers in founding the arts center. He also serves on the board of trustees of the Virginia Museum of Fine Arts. But as the ICA settles into its digs, construction is underway on another architecturally eye-popping project, spearheaded by Steven Markel. This is the J. Sargeant Reynolds Community College culinary school on North 25th Street in Church Hill. The distinctive complex is designed by O'Neill McVoy Architects of New York and is one aspect of broader redevelopment in the area, including a grocery store in this food dessert. Anthony Markel's generosity has included helping to establish the Bon Secours Community Hospice House in Chesterfield County and the Susan M. Markel Veterinary Hospital at the Richmond Society for the Prevention of Cruelty to Animals, named for his late wife, serving pets of income-qualified families. He also been a leader nationally in raising $1 billion for cancer research. For a man who aggressively shuns the spotlight, Goodwin is seldom out of it. For this he can only blame his Midas touch as a businessman. Examples include having parlayed his computer leasing company into AMF Bowling, which he invigorated and then sold for $1 billion, and highly-visible real estate investments. These include such storied properties as the Jefferson Hotel, Keswick and Kiawah Island Golf Resort. Although officially retired from Riverstone, Goodwin still operates from its penthouse offices in the Gateway Plaza overlooking the James Center, both Riverstone properties. Goodwin and his wife Alice are among the largest donors in Virginia Commonwealth University history, including $40 million to establish the School of Engineering. The couple is also recognized nationally for supporting cancer research, including tens of millions to Johns Hopkins University and VCU's Massey Cancer Center. 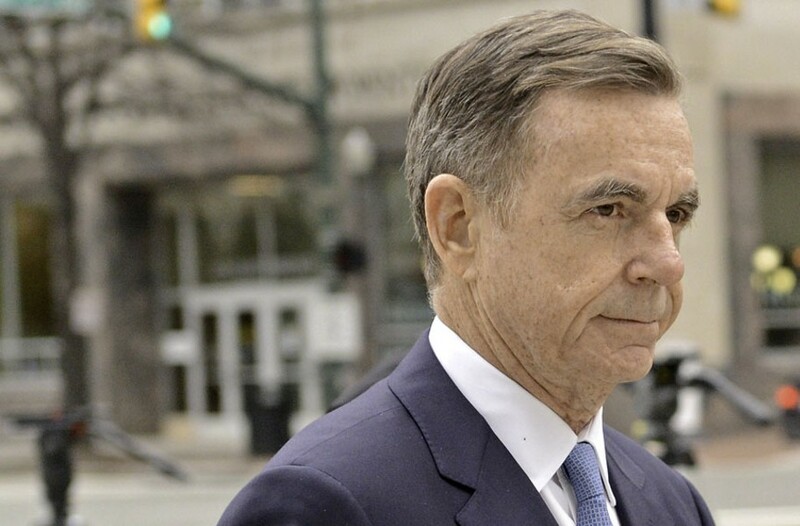 But they were blindsided, and in William Goodwin's words, reportedly "very devastated," when their pledge of $150 million to establish an independent children's hospital in Henrico County collapsed when VCU Medical Center and Bon Secours pulled out of discussions. But the Goodwins have moved on. He is an alumnus of Virginia Tech with a graduate degree from University of Virginia's Darden School and recently completed a term on the Charlottesville's school's board of visitors. Goodwin has also focused on the redevelopment of the Coliseum area with involvement in the NH District Corp.